If you want to forgo the usual Halloween-night candy-binge, where you happily partake of all the sugary goodness left over from the stash you bought for trick-or-treaters, then I have a sweet solution for you. 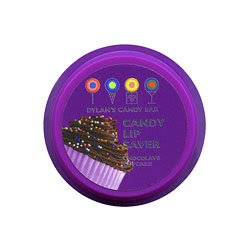 Dylan Lauren, Ralph's daughter and founder of the Willy-Wonka-esque Dylan's Candy Bar near Bloomingdales, has started her own line of bath and body products called Re-Treat. Appealingly, they do not contain parabens or sodium lauryl sulfates, but do contain good-for-you ingredients like jojoba, shea, and vitamins. The formulas come in a variety of four incredibly authentic scents: Birthday Cake Batter, Chocolate Cupcake, Strawberry Licorice, and Coconut Bonbon. You can choose a body lotion (that comes packaged like a smoothie), body butter (that is super effective on dry and ragged cuticles), shower gel (that produces a rich and scented lather), scrub (that comes packaged in an ice cream tub), and lip balms (to satisfy candy cravings). The Chocolate Cupcake scent is a bit strong for me, reinforced by the fact that the Starbucks cashier told me that my hands smelled like chocolate chip cookies when I paid for my latte. 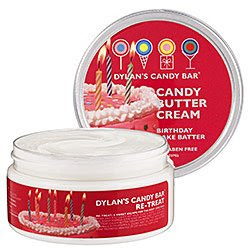 My favorite products in the line are the Strawberry Licorice Shower Gel and the Birthday Cake Batter Body Butter (that works surprisingly well as a foot cream). The bright graphic packaging is adorable, and the scents are hyper-realistic and delicious.